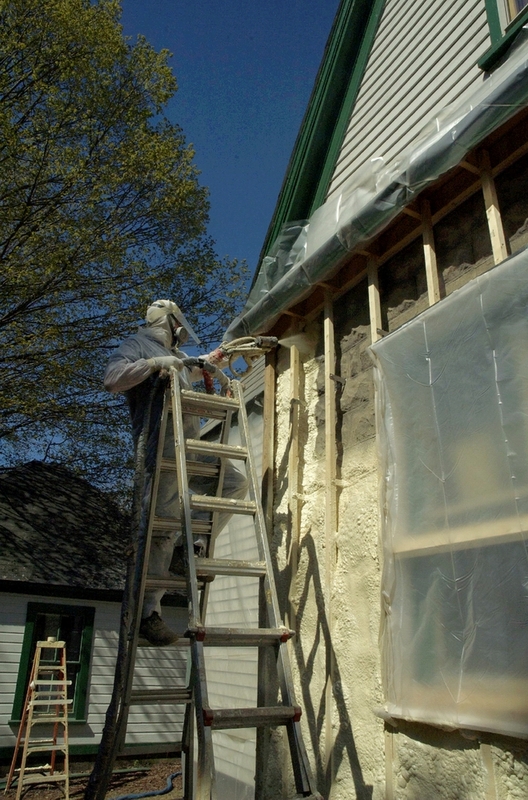 Superinsulating a home can radically improve the energy performance of an old house. These so-called deep energy retrofits achieve household energy up to 90% by addressing all (or nearly all) energy loads — space conditioning, hot water, lighting, appliances, and plug loads — and sometimes even transportation. Energy reductions of this magnitude require an intensive and extensive systems approach: The inherent relationships among energy, indoor air quality, durability, and thermal comfort must be honored throughout design and construction. Passive solar design and renewable energy systems are common in these projects. A deep energy retrofit can significantly reduce household energy consumption, but only as long as nothing is overlooked. Space heating and cooling, hot water, lighting, appliances and electric loads in general should be considered as part of the retrofit. You can learn how your house handles energy in a number of ways. Studying utility bills covering at least one year, and preferably more, is a good start. Blower-door testing, infrared imaging and duct-blaster testing offer valuable information about current energy consumption. An energy feedback device, such as the Energy Detective, measures electricity usage and can be useful. An assessment of existing conditions also should include a look at how the building envelope gets wet and dries out, and how energy improvements may affect where this moisture goes. A deep energy retrofit probably will include changes to the entire building envelope as well as heating and cooling equipment. Moisture must also be carefully managed; this may mean adding perimeter drains in the basement. Exhaust fans in the kitchen and bathroom, or a whole-house ventilation system, where those features are lacking play critical roles too. Plants and roots that are too close to the house may have to be cut back to encourage drying outside and open up the house to get more sun. In some cases, both the site and the structure should be examined with an eye toward adding rooftop- or ground-mounted solar-energy installations, solar hot water collectors, or a wind turbine. With a sharp reduction in heating and cooling loads it might be possible to downsize or even eliminate some heating and cooling equipment. What about building materials that might be replaced during the project? Cabinets, trim and flooring might be used elsewhere—in a basement or workshop, for example. Wood, gypsum drywall and other processed materials could become soil amendments or a base for a driveway or sidewalk with some planning. 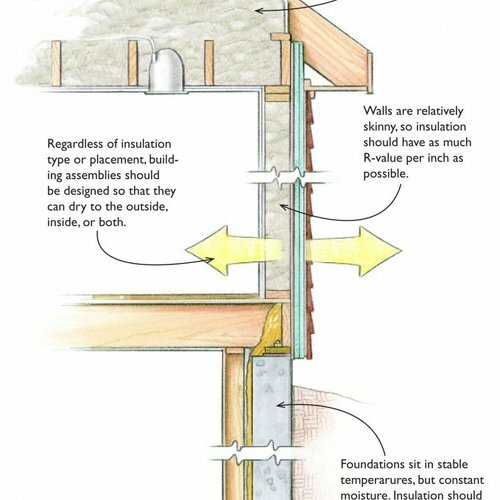 Insulate the slab and foundation walls. Provide air sealing and moisture management. 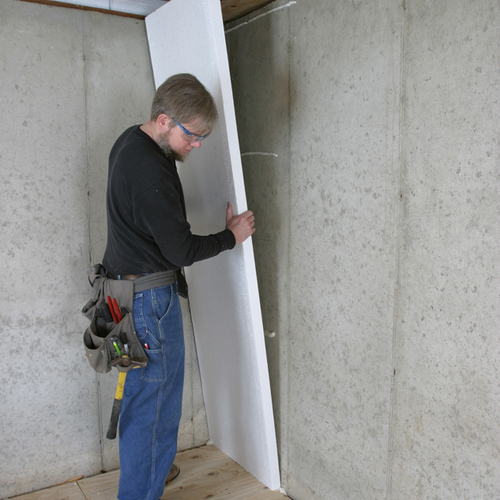 Super-insulate existing walls, floors and ceiling or roof with formaldehyde-free insulation. Replace doors and windows with energy-efficient models, and specify glazing based on the house’s exposure to the sun. Consider alternatives to conventional air conditioning. Make sure than combustion appliances are vented properly. Reconfigure plumbing to distribute hot water efficiently. Choose a high-efficiency water heater. Increase natural daylighting wneh possible. Provide an easy way to turn off equipment to eliminate phantom electrical loads. Replace old appliances with energy efficient models. Consider installing photovoltaic modules, solar hot water collectors, or a wind turbine. In renovating old homes into super-efficient ones, there is a definite path to success. Betsy Pettit, of Building Science Corporation recommends starting where you can get the most bang, and working your way down the list. After you get past item 5, the house will be efficient enough to downsize the mechanical equipment, which you replaced in step 1. If you’re planning to go at least through step 5, keep that in mind before buying a new boiler or HVAC unit. An old furnace or boiler is often the worst energy user in an old house. Many houses built prior to 1920 still have old coal-fired boilers that were converted to gas or oil. These units are workhorses, but use a lot of energy. A new furnace or boiler can save energy dollars right away. 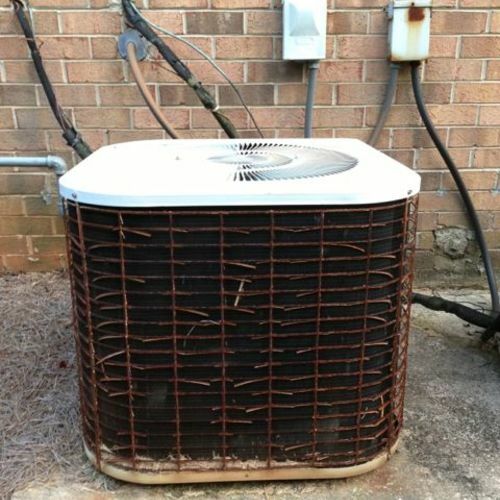 Replacing window air conditioners, which we did in all these houses, with a central system also can save energy right away, as long as the ductwork has been placed in the conditioned space. Solar water heating is a good option to add here if you can afford it, but at the very least, upgrade the efficiency of hot water production by coupling the tank to the boiler. Warm, dry basements and crawlspaces can extend living and storage space. Wet basements are the source of high humidity levels and discomfort in the summertime in old houses. They also can be the source of mold growth that gets distributed around the house. Spray foam is a fast, effective way to bring these areas into the conditioned space while sealing the leaks between foundation and floor framing. 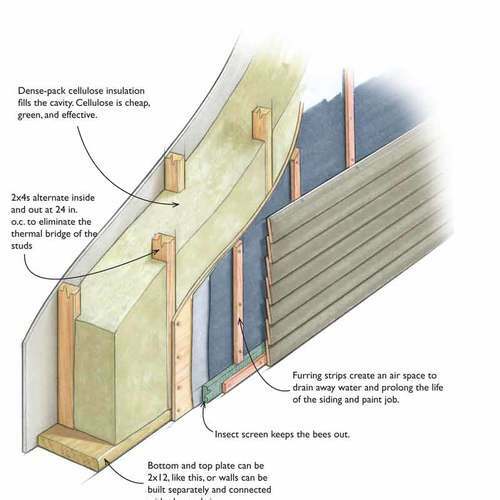 If air leaks in at the bottom of the house, it leaks out at the top, which makes a house cold and drafty in winter. A poorly insulated roof also can make a house hot in summer. 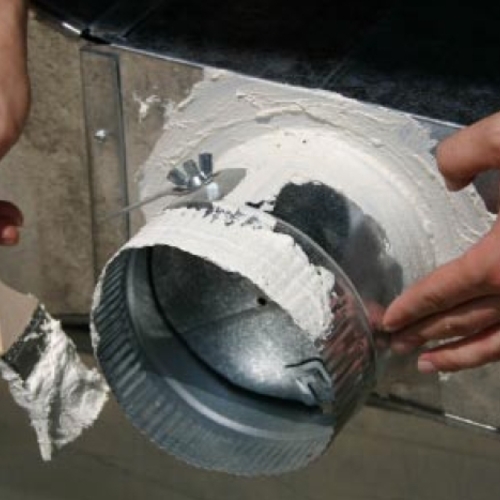 Air-sealing is a by-product of good insulating, so it’s really a one-step process. 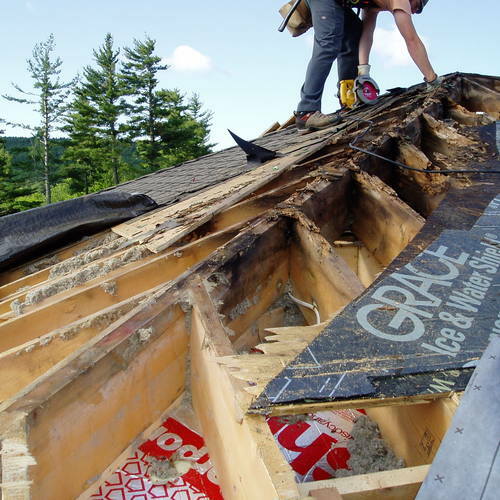 Using spray foam under a roof also can eliminate the need for roof venting, which is tricky in complicated roofs. With the bottom and top of the house sealed and insulated, the next opportunity is the walls. And old windows are like big holes in the walls. Old windows often leak both air and water into the house while functioning poorly. They might not open and close properly, and can be obscured with storm windows and screens that diminish the amount of light that can enter. Properly installed, Energy Star (or better) windows seal the holes in the walls to keep out water and weather extremes. fixtures, appliances, and lighting once you have reduced your space conditioning and water-heating loads, the lighting, appliance, and plug load will be your next big energy item. A new Energy Star refrigerator will use 15% less energy than a standard model. Replacing old light fixtures with pin-based compact fluorescent fixtures ensures your electric bill will stay lower (up to 30%). Once your energy consumption has been reduced significantly, it becomes reasonable to produce your own energy with systems such as photovoltaics, wind power, or hydro, if you happen to have a stream nearby. Until you slash the energy usage, though, it’s not worth the investment in renewable power sources. Conservation is still the cheapest game in town. *Note to item 5: Go back to Step 1 and reduce the size of the mechanicals. An airtight house with insulation on all six sides of the cube and good windows provides predictable performance, so the mechanical contractor won’t have to guess at the quality of the enclosure. Downsized mechanical equipment can defray the cost of steps 2-5. 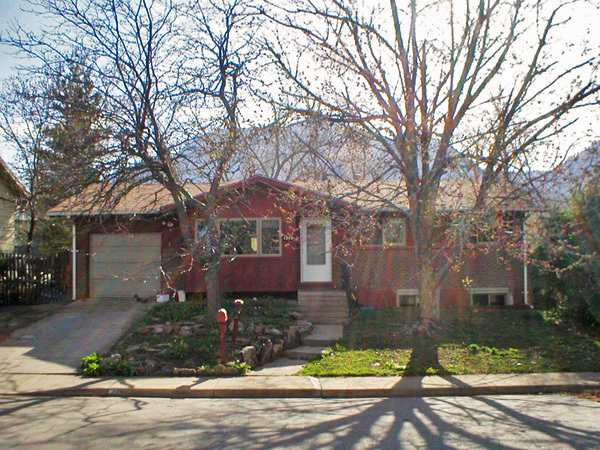 COMPLEX UPGRADES TO A SIMPLE HOME Any house built thirty years ago, like this 1970s ranch in Boulder, Colorado, needs improvements. A new addition and extensive, soup-to-nuts upgrading of all the house’s systems improved the comfort and health of the inhabitants while completely reducing it energy use. In deciding to remodel, the owners of this 1,000-square-foot 1970s ranch in Boulder were seeking to both add space and make dramatic energy improvements. Like other houses in the neighborhood, this one had single-pane windows and no insulation in the walls, making it drafty in the winter and “an oven” in the summer. The family had made some improvements five years earlier, replacing windows, adding insulation, and installing radiant floor heat, but they didn’t have the experience to take it as far as they would have liked. This time, wanting more comprehensive improvements, the family hired a contractor with experience in high-performance building. Eric Doub’s team retrofitted the existing space for energy efficiency and remodeled it to include a home office in the aboveground space and a play area in the basement. Adding 700 square feet gave the owners a new dining area, expanded the kitchen and great room, and improved solar access and lighting. Super-insulating and air sealing throughout the home improve comfort and passive survivability, allowing the home to stay warm without heating for a few days in 0°F, cloudy weather. A project manager knowledgeable in building science best practice was always on site to ensure that proper detailing, critical to a successful energy retrofit, was accomplished. The increased square footage improves the daylighting as well as the livability of the space. An all-electric design allowed the homeowners to cap their natural gas line, which was of particular importance to them because of local environmental degradation caused by natural gas drilling and distribution. Their efforts to be as green as possible extended from the structure to energy supply and to finishes. MULTIPLE PANELS PROVIDE HEAT, HOT WATER, AND ELECTRICITY. 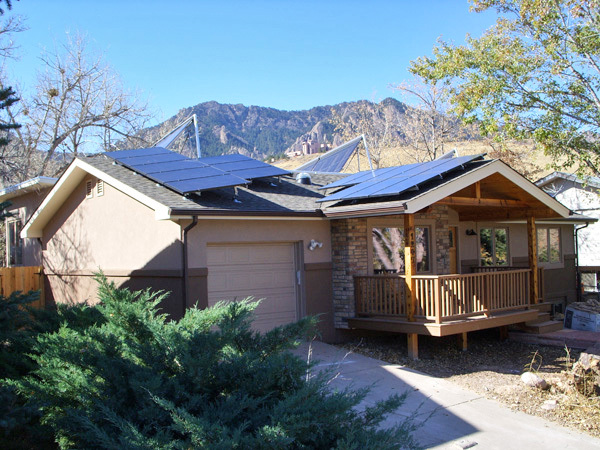 This net zero house in Colorado uses panels on the roof to provide domestic hot water as well as space heating, using in slab radiant tubes. And photo-voltaic panels provide 6.15 kW of electricity. 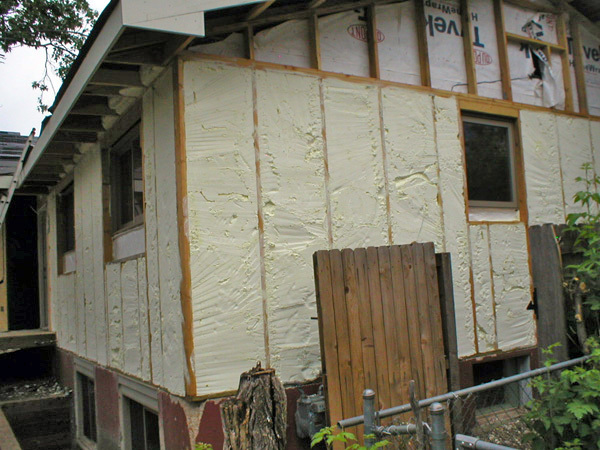 A VARIETY OF INSULATION TYPES were used on the addition and the retrofit original house. Types included blown-in celluose, rigid foam, and cotton batts. In a comprehensive retrofit of this sort, it can be easy to miss some of the ways in which the systems interact; even manufacturers may overlook details of advanced energy systems. For instance, the team learned that the evacuated tubes for solar hot water could overheat and break if the power went out on a sunny day. To prevent this, they installed a single solar panel that provides backup power so that the pump can continue to circulate water through the tubes. Despite of their deep-green objectives, the homeowners also had to make some trade-offs. The cost premium for certified wood led them to forgo using FSC-certified wood exclusively in favor of investing more in renewable energy systems. With highly committed homeowners, the team was able to push far beyond typical energy retrofits, and explore new approaches to comprehensive efficiency. At the project outset, the contractor and energy designers worked with the homeowners to calculate electrical loads, and used computer modeling to understand heat and energy flows. This critical step in the design process informed all stages of project development. During construction, the homeowners, designers, engineers, and contractor continued to work closely together to ensure project success. For example, when the homeowners asked about thermally retrofitting the exterior of the building to minimize disturbance, the contractor verified with modern building science resources that this approach would work well to create continuous air and thermal barriers. General Contractor: Eric Doub, Ecofutures Building Inc.
With the intention of building their “dream home,” the homeowners selected high-quality finishes throughout, pushed energy measures as far as possible, and took full advantage of Colorado’s new incentives for renewable energy systems. According to the homeowners, construction costs were comparable to those of other high-end remodels, and with recent reports that local electricity prices may increase by 11% in the next year, the projected return on investment keeps getting better. In Arlington, Mass., Alex Cheimets oversaw a deep-energy retrofit project at his 80-year-old duplex. LEED for Homes For deep energy gut rehabs, energy retrofit strategies can influence up to 27 points in EA1-9 (Energy & Atmosphere). Deep Energy Retrofit in Ohio . . . I've been working on a DER of my home in Ohio . . . we've shot video of the process all the way along and you can see it at http://www.thegreenedhouseeffect.com. We're in the final stages, doing an interior curtain wall in the basement with spray-foam insulation and adding solar-air heaters. We've gone from a leaky, 70-year-old home to a super-tight, well insulated home. Even with the harsher winter last year, we cut our heating bills by 2/3 and now are nearly net-zero on our electricity with a 4kW solar array. While many old windows leak air and water and truly need to be replaced, there are many homes with tight windows that have clear single-pane, clear IG, or even tinted or low-e coated IG that can save a lot of air conditioning load dollars with good SHGC window film. Many of these films are now performance rated by the NFRC, ( recommended as an authority within this forum) and recently film with Emissivity as low as 0.07 has entered the marketplace. SHGCs as low as .50 (film alone on clear single pane) are available with a VLT as high as .70 --about the same as a car windshield and barely noticeable from outside or inside. You mention "indoor air quality" and "moisture management" but don't give any suggestions for how to deal with it. Superinsulating and tightening the envelope restrict the introduction of fresh air, that needs to be compensated for. 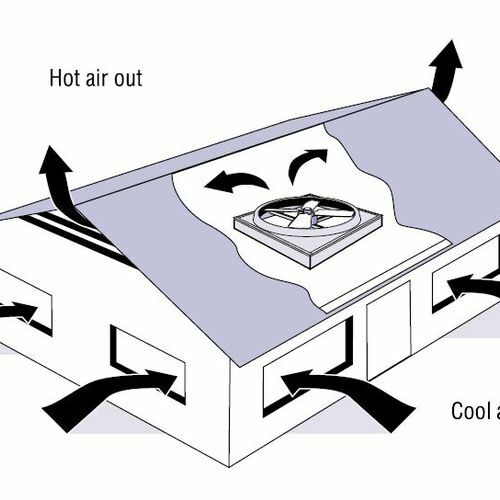 The best way, following PassivHaus principles, is to replace the traditional "recirculating" type heat/air conditioner with a heat exchange unit that conditions fresh air instead or recycling stale, moist, mold-inducing air. That's how to create good indoor air quality in a superinsulated structure. Malcolm, thanks for the link! Malcolm Taylor provided one link to a useful article. (Thanks, Malcolm.) GBA has many more. For a list of many more similar in-depth articles on ventilation, visit GBA's "Category" page on ventilation. Here is a link: GBA Category page with links to articles on ventilation. You may also want to read this article: "All About Indoor Air Quality."